World Book Day… What? When? Already?! 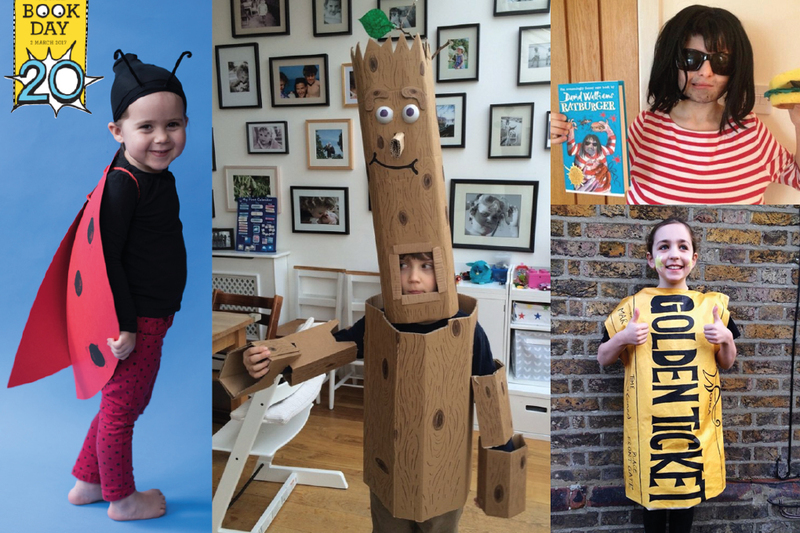 Organised parents around the world who have their kids’ World Book Day costumes ready, I salute you. For me it’s a scramble (again) to pull something together over the next day or two. I think the whole event is great, part of the magic being that a) you get to make the costume together as a little project, b) they wear it all day within a class full of other children in bonkers outfits (which is quite amusing in itself) and c) it’s fine that it’s totally thrown together and doesn’t have to be perfect… Most people are in the same boat… Besides, children’s imaginations are great, they’ll see past the sticky tape and wobbly painted lines. Last year I panic-constructed a massive shell for my daughter to wear on her back – she wanted to be the snail from The Snail and The Whale… totally impractical, it was huge… As I waved her off it dawned on me that every time she turned around she’d knock one of her pre-school friends over with it or may be some kind of fire hazard. She loved it… not sure if the people around her did.